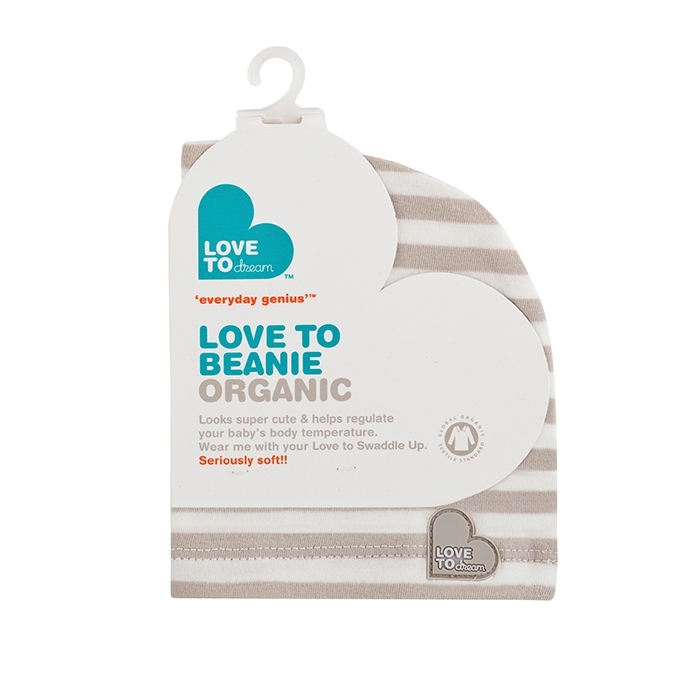 Newborn babies need to be kept warm and these beanie hats are ideal for helping to regulate baby’s temperature. 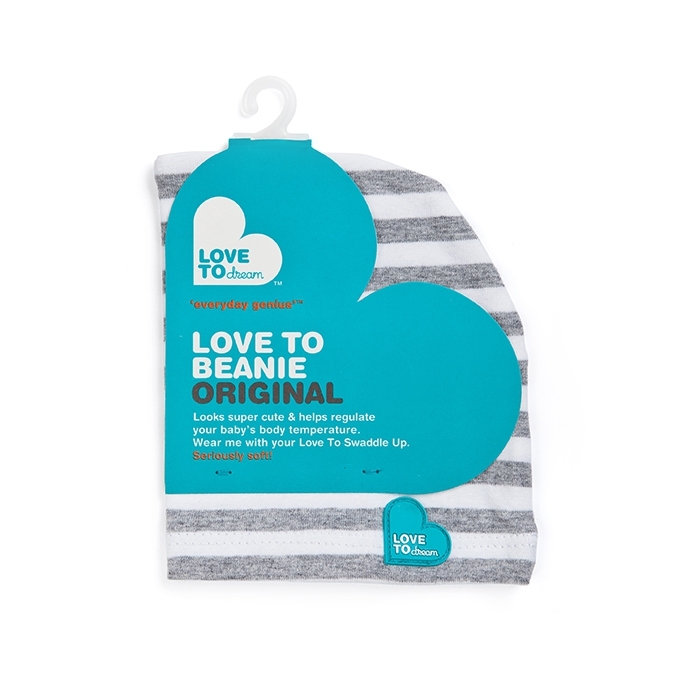 The Love to Dream Beanie co-ordinates perfectly with the Love to Dream Swaddle UP range. Available in soft organic cotton or standard cotton with a touch of spandex (5%) for stretch and comfort. Combine it with a Love to Dream Swaddle UP for a beautiful new baby gift. One size only. Fits most babies from newborn to 6 months. Washing Instructions: Wash before first use. Wash at 40 degrees. Do not soak. Do not bleach. Do not tumble dry. Pull into shape and line dry in the shade. Cool iron if necessary. Do not dry clean. Q: What clothing should I put the baby in, when using the Swaddle? A: All Swaddles will come with a temperature guide on the back of the packaging, advising what the baby would need to wear, to stay at optimum temperature.